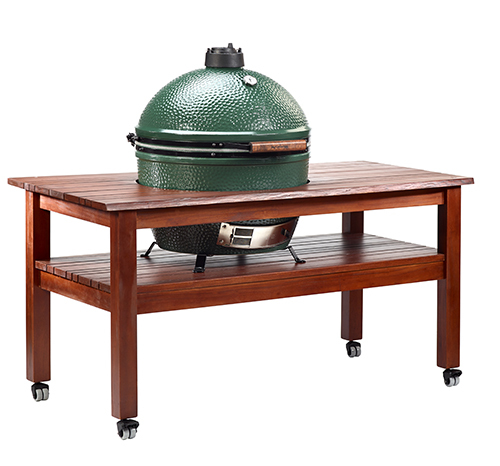 Fashioned from exotic wood grown in ecologically sustainable forests, Big Green Egg’s unique Tropical Mahogany Hardwood Tables are handcrafted to the highest quality standards. One look, one touch and you’ll experience the quality immediately! Made from warm Tropical Mahogany wood, each table is a durable and unique work of art so beautiful that you’ll want to use them indoors! Each table offers ample and convenient working and serving area for the XLarge EGG. Includes easy-leveling leg pads.